The German auto manufacturing industry is at a perilous moment in its long and illustrious history and it needs the help of the country’s policymakers to ensure its long-term success, writes Nigel Topping. 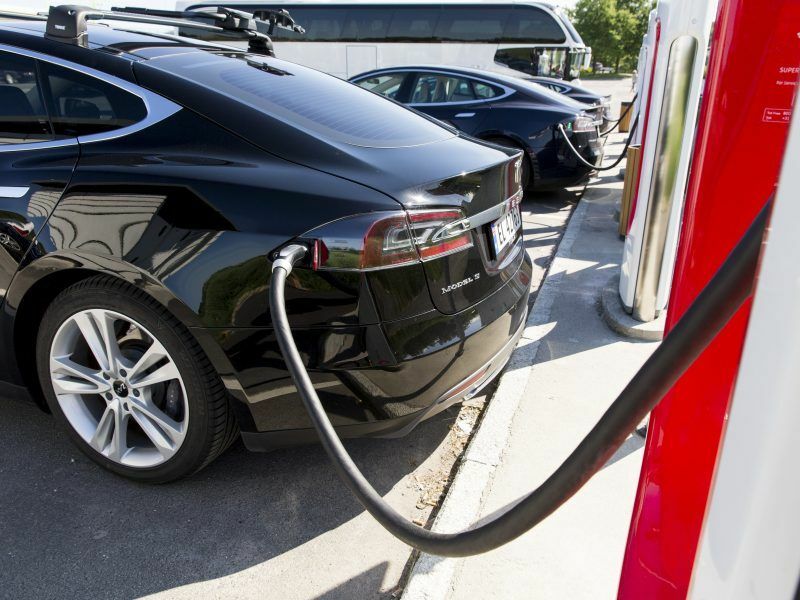 By adopting clear long-term policies that embrace the growth potential of rapidly transitioning to electric vehicles (EVs), the German government can provide the catalyst the industry needs to thrive both in Europe and internationally. In China, automakers are already reaping the benefits of ambitious government policies on EVs and pulling ahead in the race to define the future of the industry. In 2018, China’s sales of new-energy vehicles surged 62% to 1.26 million, most of which came from domestic producers. At that growth rate, EVs would be on track to dominate the world’s biggest auto market of roughly 28 million cars within just 13 years. Part of the reason for this growth has been government subsidies for EV consumers, which are now being rolled back. However, it is also due to the country’s increasing sales quotas for EVs – starting at 10% for 2019. This gives automakers certainty over the direction of travel so they can invest with greater confidence. In February this year, EVs reached a 4.8% share of the total Chinese market, marginally ahead of the US which had an EV share of 4.0%. In the US, the EV market was boosted by the success of Tesla, which is helping to popularise EVs. The Tesla Model 3 became the best-selling car in the US by revenue last year, outcompeting German luxury rivals including Mercedes-Benz, BMW and Audi. By comparison, the EU is lagging behind with EVs reaching just a 2.0% share for the first time in 2018, according to figures from the environmental consultancy Transport and Environment. Though the share of EVs remains low in many countries, the early stages of an exponential growth curve should not be ignored and now is the time for the German government to back the rapid transition to EVs to help the country’s auto industry retain its competitive advantage. 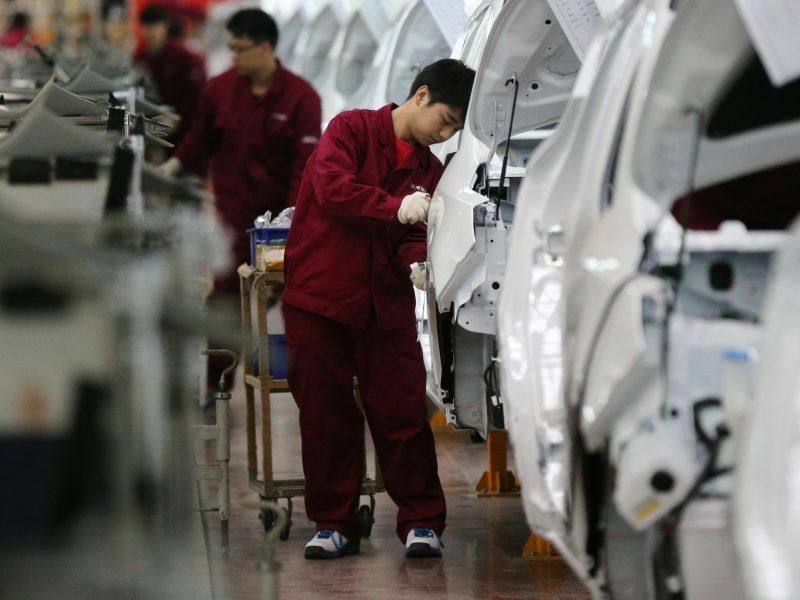 If German auto manufacturers lose ground to Chinese and US producers in the burgeoning EV market, it could risk the industry’s ability to act as a mainstay for employment in the country. 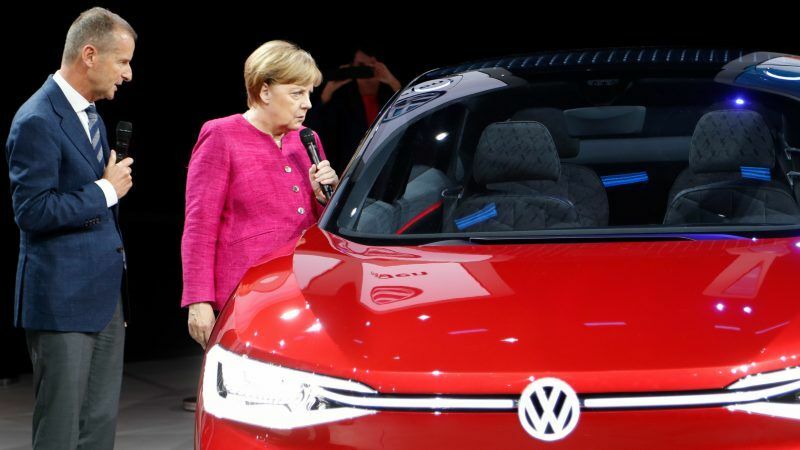 Last month the German mobility commission missed an opportunity to send a clear signal – both to the country’s automakers and to corporate and individual customers – that they are willing to rapidly accelerate the transition to EVs. The Working Group for climate change presented its progress report to Germany’s National Platform Future of Mobility. But it failed in its first attempt to agree concrete and effective recommendations on how to fully achieve the official target of reducing emissions in the transport sector by 40-42% by 2030, compared to 1990 levels. While this is a setback, the urgency of creating a viable plan to tackle transport emissions, with EVs as a key driving force, has never been greater. The latest data from the German Environment Agency (Umweltbundesamt) shows that while last year the country achieved its largest annual drop in emissions since 2009, emissions from the transport sector have been virtually static over that period – edging just 0.6% lower. This lack of progress was highlighted by German Chancellor Angela Merkel, who called for a “radical shift” in mobility to ensure the country reaches its 2030 climate targets, including towards greater e-mobility. Globally, the policy landscape is increasingly shifting towards backing the rapid rollout of EVs as a vital tool for reducing urban pollution and achieving the goals of the Paris Agreement. Several European countries have already embraced EVs as a core solution to these problems, as well as a key driver of growth. The UK, France, Norway and Sweden have all committed to phasing out gas and diesel-powered light passenger vehicles completely in the coming decades. While German automakers are increasingly ramping up their commitment to EVs. Last month, Volkswagen upped its target to 70 fully electric models by 2028 and reportedly threatened to quit German car lobby group VDA over its lack of support for EVs. Meanwhile, over 35 companies including the world’s leading auto leasing company LeasePlan are working to drive the shift to more sustainable powertrains and demonstrating demand for EVs through EV100 – a global business initiative designed to fast-track the uptake of electric vehicles and infrastructure among large global corporations, launched by The Climate Group. They recognise that EVs are increasingly cost competitive, achieving ranges that rival many traditional cars. As LeasePlan’s 2019 EV Readiness Index shows, driving an EV is now a truly viable option in an increasing number of European countries. The urgent need to shift to zero-carbon transport is coming at a time of huge disruption and innovation for the global auto sector. But that transformation can be harnessed to help achieve the sector’s carbon emissions target, as well as providing growth opportunities. It’s vital that members of the German mobility commission and the German government now take the opportunity to send a clear signal to business and harness the e-mobility future. 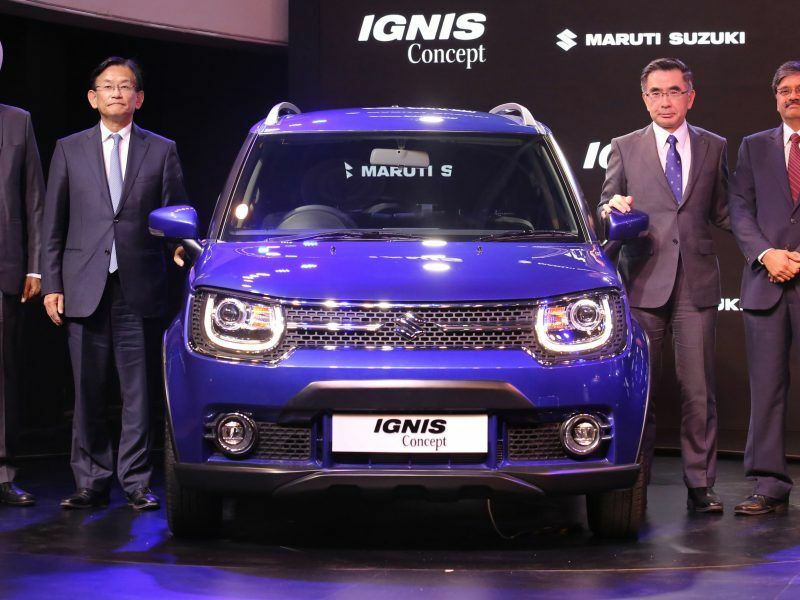 Stronger clean car standards and electric vehicle (EV) incentives will help Europe’s automakers remain competitive in the rapidly electrifying global market, writes Ashok Jhunjhunwala.